There are 23 Memory Care Facilities in the San Jose area, with 12 in San Jose and 11 nearby. The average cost of memory care in San Jose is $6,326 per month. This is higher than the national median of $4,650. Cheaper nearby regions include Santa Clara with an average starting cost of $4,647. To help you with your search, browse the 4 reviews below for memory care facilities in San Jose. On average, consumers rate memory care in San Jose 4.0 out of 5 stars. Better rated regions include Sunnyvale with an average rating of 5.0 out of 5 stars. Caring.com has helped 7 families in San Jose find high-quality senior care. To speak with one of our Family Advisors about memory care options and costs in San Jose, call (855) 863-8283. According to the U.S. Census, San Jose is home to more than 1 million people, 11.4 percent of whom are seniors over the age of 65. The state of California itself has around 650,000 seniors with Alzheimer's disease. Seniors with Alzheimer's disease or dementia who live in one of San Jose's 25 licensed memory care facilities are ideally located near some of California's major freeways, which makes getting visits from nearby loved ones relatively easy. Several world-class medical centers and teaching hospitals serve the San Jose/Lower Peninsula region, including the massive medical center operated by Stanford Medical School in nearby Palo Alto. San Jose is situated on the sunny coast of California, right on the open water of the San Francisco bay, so the temperature never strays too far from most seniors' comfort zone. Summer highs average 84 degrees Fahrenheit here, while winter lows average a temperate 42 degrees. San Jose gets roughly 15 inches of rain a year. Due to the economic boom of the last few decades, San Jose can be a pricey place to live. The cost of living here is 49 percent higher than the national average. Crime rates are broadly average to below average in San Jose. Violent crime here is around 25 percent lower than California's average, while property crimes, such as theft, are very close to the state average. Both violent and property crimes in San Jose are significantly lower than in neighboring large cities, such as San Francisco and Oakland. San Jose is home to world-class medical facilities, including those specializing in brain health and dementia care such as Regional Medical Center and Good Samaritan Hospital, in the event of medical emergencies or illness. Memory Care costs in San Jose start around $6,517 per month on average, while the nationwide average cost of memory care is $4,778 per month. It’s important to note that memory care rates in San Jose and the surrounding suburbs can vary widely based on factors such as location, the level of care needed, apartment size and the types of amenities offered at each community. 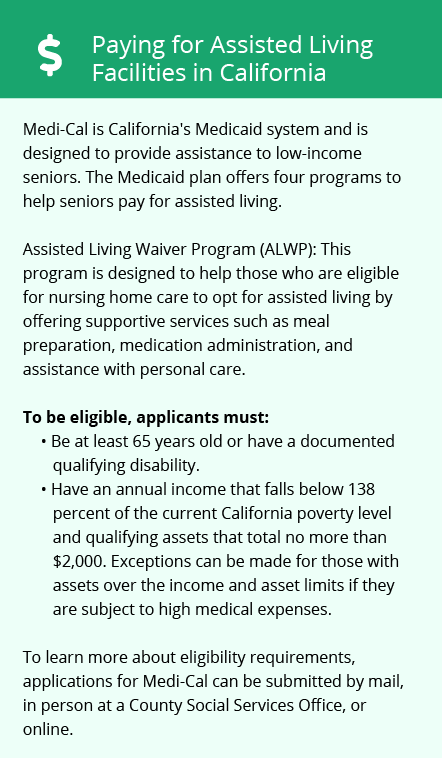 San Jose and the surrounding area are home to numerous government agencies and non-profit organizations offering help for seniors searching for or currently residing in an assisted living community. These organizations can also provide assistance in a number of other eldercare services such as geriatric care management, elder law advice, estate planning, finding home care and health and wellness programs. To see a list of free memory care resources in San Jose, please visit our Assisted Living in California page. 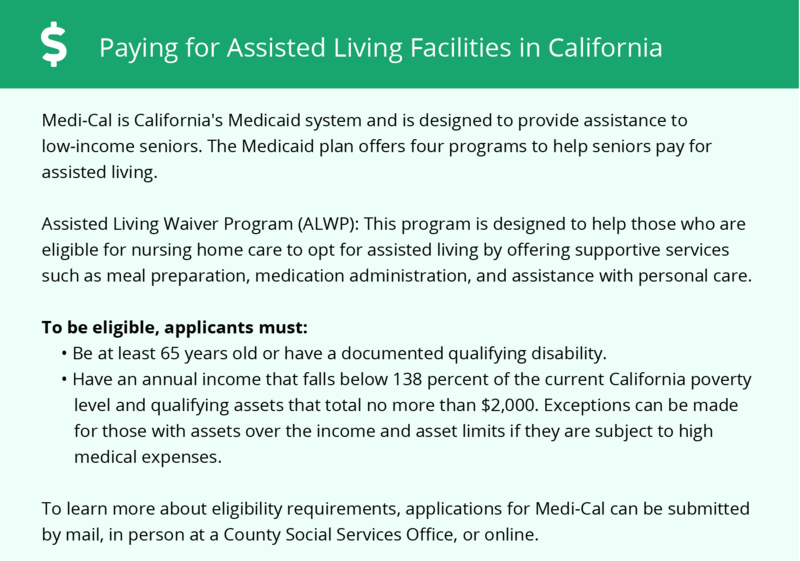 San Jose-area assisted living communities must adhere to the comprehensive set of state laws and regulations that all assisted living communities in California are required to follow. Visit our Memory Care in California page for more information about these laws.